Well guys I know its been a while, but life happens ya know? And one thing you can always count no matter what happens in life is that the world keeps spinning. Including the tech world! 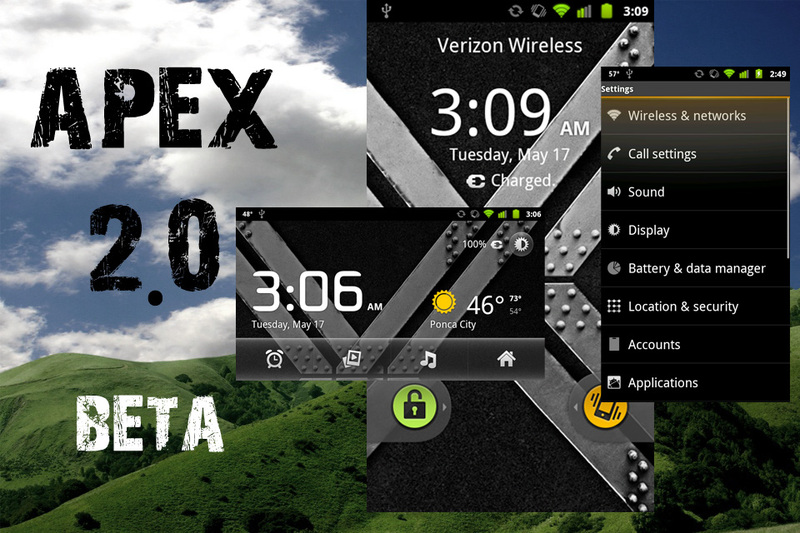 One of our favorite devs, Fabdroid/@bigxie has done just that and released the “beta” version of his Apex ROM for the Droid X and Droid 2. Now this isn’t like what most people think of when they hear “beta”. Like he says himself, it’s “beta” in the Google sense of the world. This is no doubt a daily driver ROM. 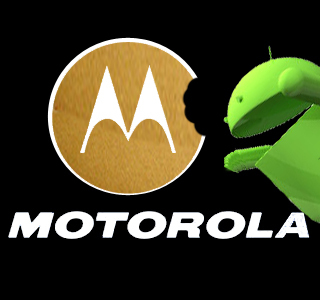 I’ve been going back and forth with other ROMs based off of various (read: waaaay too many) different leaks of the Gingerbread build from Motorola. ZombieStomped, Liberty GB, Rubix BlurryBread all come to mind and none have left me properly satisfied. Granted Liberty isn’t finished yet and I’ll of course be giving it a fair shot when it’s got some polish and finish. But until now there hasn’t really been “that” ROM based off Gingerbread for our Droid 2. 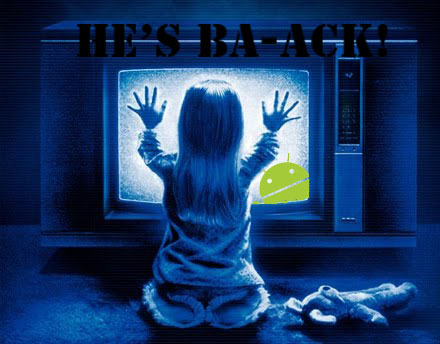 In fact, this is one of the few I’ve tried that’s being made for the Droid 2. Most of the ones I’ve flashed that get updated are actually Droid X ROMs and then having the DXtoD2GB.zip flash file on hand. But this Apex 2.0 has really come along and I think you’ll be very impressed with how it looks, feels, and performs. First Custom GB ROM for DX/D2!!! Rubix Blurry Bread is the name, and bringing you some custom Gingerbread action is the name of the game! Although it remains to see exactly how much work has been actually done, Rubix is the first to get a running ROM out the door. From what I can tell on the forum, not too much has been changed except for removing almost all stock apps and some preset speed hacks. I know I said I’d flash this ASAP, but as this is not an actual release for the Droid 2 (just Droid X at the moment) I’ll be waiting till I can confirm this will work on a Droid 2 no problems. I have work tomorrow, so no flashing tonight. But if I check again tomorrow and some update is posted, I’ll try it tomorrow night. Early comments say its even faster, which I’m definitely interested in, but this is all on the Droid X. The fact that it’s also enough of a pain to get to Gingerbread is daunting enough for me to put it off a day. I’ll post back when I can find more out and give it a go myself. Either way, it is possible and someone has done it: Custom Gingerbread ROMs for your Droid X/2!!! Don’t get your hopes too high for this, but it looks as if JRummy16 has semi-confirmed via Twitter that his Liberty 2.0 ROM will be made public some time tomorrow. We have no reason to doubt him, it’s just that life happens. I for one put little faith in ETA’s, but nevertheless will be watching the thread and flashing the hour I can. Speed improvements and a reworked base and toolbox are my highlighted features, but you’ll have to make up your minds about whether this ROM is worth flashing to your Droid 2/X versus the ever so trendy leaked Gingerbread. We’ll find out tomorrow! And I’ll be here first letting you know all about my impressions.